Smartphone Nation was founded on February 28, 2008. 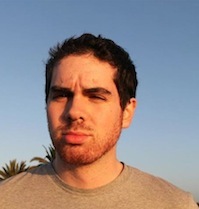 The site is maintained by Justin Cauchon, who is the editor-in-chief. We have come very far from our first layout to the one we are using today. We have learned a lot about how to manage a website and we continue to learn every day. Smartphone Nation was primarily developed to help people who were interested in getting a smartphone decide which phone would be right for them. The plan changed when we found that the market was in giving phone addicts the latest information about upcoming and current smartphones.